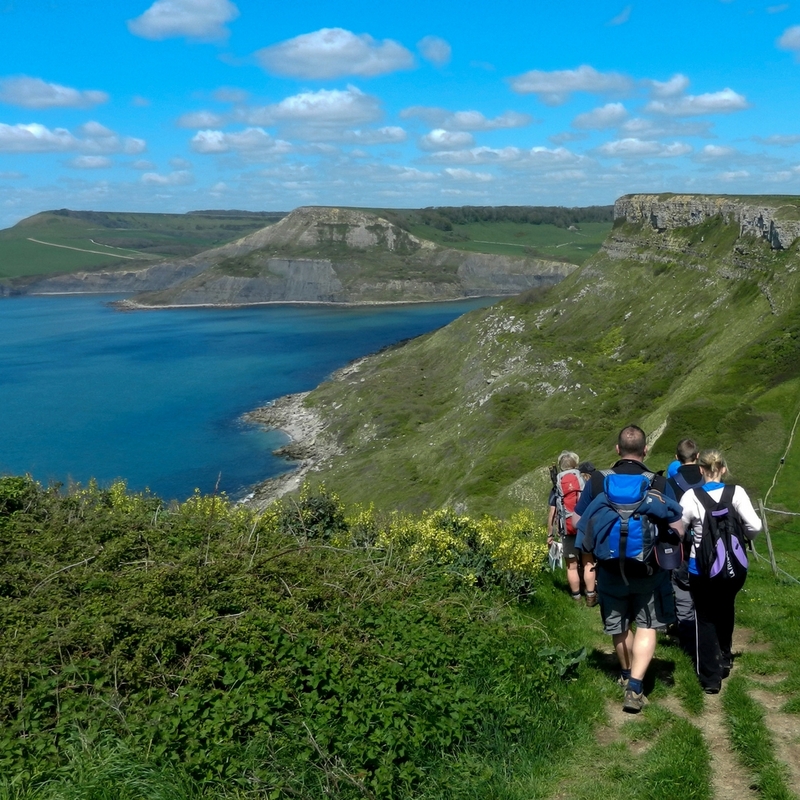 This summer we’ll be trekking 22 miles along the Jurassic Coast in Dorset! Come and join us for this stunning walk and help raise vital funds for Hampshire and Isle of Wight Air Ambulance. Stretching 95 miles between Old Harry Rocks in Dorset, to Orcombe Point in East Devon, the Jurassic Coast – England’s first Natural World Heritage Site – is the most geologically diverse coastline in the world. The exposed cliff sections allow you to look back through 185 million years of time; dinosaur remains have been found here, and it’s a fossil-hunter’s paradise. With a more recent history of mining, shipwrecks and smuggling, this is a fascinating stretch of coastline. We take in some of its most spectacular scenery, from the renowned natural stone archway of Durdle Door to the beautiful circular Lulworth Cove, as we continually climb and descend the steep hills of the Jurassic Coast. We camp at a lovely campsite a short distance from our route. Click here to book your place online, or contact ian@hiowaa.org / 02380 743510 for more information.